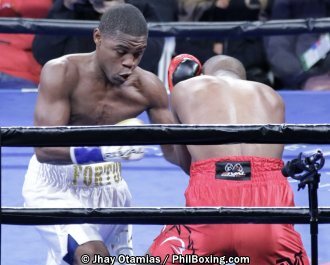 Javier Fortuna scored a knockdown in the 6th round and went on to win by unanimous decision over Sharif Bogere in their 10-round lightweight matchup on the undercard of the Gervonta Davis vs Hugo Ruiz mainer at the Dignity Health Sports Park in Carson, CA Saturday night (Sunday in Manila). Judges Max DeLuca, Fernando Villarreal and Zachary Young had identical scores of 96-93 in favor of Fortuna. Fortuna (34-2-1, 23KOs) from Dominican Republic who previously won world title at super featherweight said he would like to fight the top dogs in the division including Vasyl Lomachenko and Gervonta Davis. Bogere, from Kampala, Uganda who now lives in Las Vegas, suffered the second defeat of his career and dropped his record to 32-2-0, 20KOs. 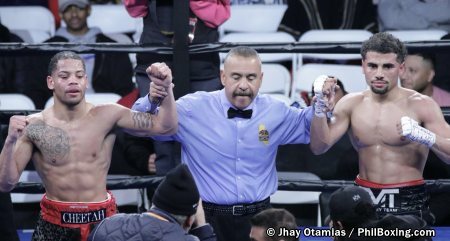 In another undercard result, Maurice Lee (9-1-2, 5 KOs) of Sacramento and Oakland’s Lennard Davis (4-1-5, 3 KOs) battled to a majority draw in their 6-round super lightweight bout. Scores were 57-55 for Lee, 56-56, and 56-56.